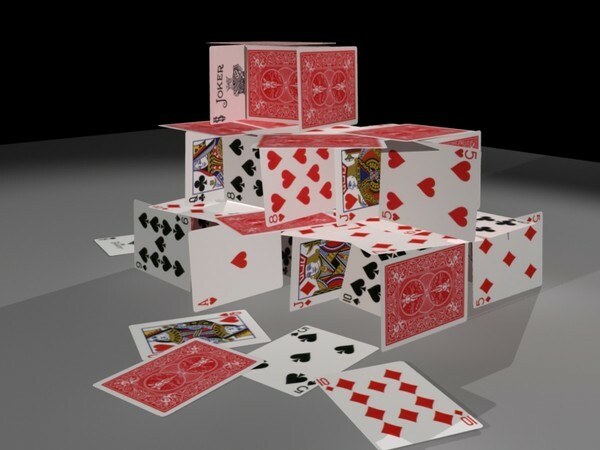 Global Markets – A House Of Cards? 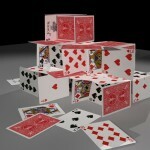 Global economies along with global markets are looking more like a ‘house of cards’ as time progresses. Or are the cards held in place by glue; or is it bricks painted to look like cards? What happened in China over the last year? If you look at the Shanghai Stock Exchange (SSE) equity index, as of 1 September 2014 it stood at 2217. A year later it was 3167. That is an increase of 43%. However, there was a peak on 11 June 2015 where it reached 5122; an increase of 131% over September 2014. Many investors have been totally bewildered at the subsequent decline of such proportions in a few short months. During the decline the Chinese authorities lowered their base rate, devalued their currency and even gated the rate at which sales of equities were allowed. The result was that their actions apparently had no effect on the decline. Was there an economic catastrophe in China, despite the annual growth rate slowing to a mere 7%? Whilst it is recognised that, as a developing nation, China needs to have a much higher growth rate than the western world, a 7% growth rate is nevertheless pretty solid in any economist’s books. The reality was that market sentiment determined what happened. That good old aspect which seems to appear from nowhere and governs what happens despite any sense of balance whenever it is least expected. It is widely understood that the Chinese population are game for a flutter and they seemed to see the equity market as a sure thing, so many individuals piled their entire life savings into the market with a view to becoming rich quickly. Unfortunately this failed for them. Further south, Australia has certainly suffered and this is because their natural resources are largely being consumed by China. With a slowdown in Chinese growth, demand for raw materials and resources has declined significantly, affecting Australia. The Chinese market crash made other markets around the world jittery and there has been some wobbly weeks experienced recently. Some reports suggest that a market “correction” has taken place which was expected following the surge in recent years. Such opinions are backed by the strong economic fundamentals of many nations. In the USA unemployment is now down to around 5% and GDP growth is running at an apparently relatively healthy 2.7%. Inflation is currently less than the targeted 2% but how much has this been affected by the decline in oil prices? Quantitative easing (QE) is being reduced and generally things look reasonably okay. What is going on with oil? Is it true that the Saudis have reduced the price of oil by continuing to hold production levels up? Would this affect the economic viability of fracking operations in the US, where production costs are so much higher? Europe introduced QE in 2014, led by the European Central Bank (ECB) and this seems to have stimulated the European equity markets, in the same way that QE stimulated US markets. Despite all these factors, once the jitters in the China markets began, these quickly spread across the globe. Many analysts and specialists have said that because fundamentals are good, this is a mere correction and nothing to worry about. Others say that this is the beginning of a significant bear market. It seems that no matter what the fundamentals are, sentiment always rules the day. Meanwhile debt is, in some cases, at staggering levels. In China total debt is currently at 230% of GDP. Domestic debt has increased in other areas around the world. Thailand’s current domestic debt level is well over 100% of GDP, a frightening five-fold increase over the past ten years. Just imagine the increase in the number of US Dollars required servicing the US government debt if the base rate increases. In the USA we see that the Federal Reserve held the base rate steady in their meeting on 18 September. This has now become a dilemma. By holding rates, are they suggesting that they are nervous about economies and markets? This could stimulate negative sentiment. A rate increase was expected and would likely have other effects on markets and sentiments. Here is another ‘damned if they do, damned if they don’t’ situation. All these factors affect equity and bond markets. As an investor it is hard to know what to do next. In many ways you will be damned if you take action and damned if you don’t. So, in reality, which way do you turn? Sell, buy or hold; change strategies to different geographies, between active and passive, rebalance to different asset allocations? There will probably be no correct answers. Some experts say that emerging markets are currently at low levels which should be considered. Others say emerging markets will decline further. Many analysts look at the fundamentals and conclude that we are not headed for a bear market but simply write this off to a correction. Others say the perfect storm is brewing. The general rule of most successful investors is at almost all times you should go against the herd. But patience is also required and more than anything nerves of steel. It is essential to be objective and never become subjective. There is no conclusive answer to any of these dilemmas. Questions to the author can be directed to PFS International on 02 653 1971 or email enquiriesthailand@fsplatinum.com. Andrew Wood has been an expat in Asia for 35 years and is Executive Director with PFS International Consultants Co. Ltd.. 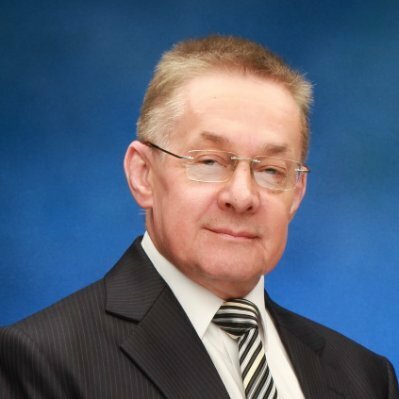 He has been writing Net Worth articles for six years and has made a significant contribution to the PFS library of financial service articles dating back over nine years. These articles which cover the complete A-Z of financial planning are available to readers on request.